JIP. Ed. 3 (2015), 353-362. In this article, I address paradoxes and ambiguities that result from this double oppression, and discuss some of the questions that arise from the formulation of this dichotomy, which forces women to choose between feminist and nationalist agendas. I discuss who formulates this dichotomy, who identifies nationalism and feminism, and who benefits from this identification. To address these topics, I discuss two specific examples: Muslim women in India and Palestinian women within Israel. The reformulation of nationalist/religious identity in such a way as to make it compatible with a feminist perspective is a very important project. Such a project must be built on changing the dominant culture from within. Such a process is long-term, however, and until it is achieved, women will continue to suffer. We cannot demand that oppressed women wait until the rebuilding of the dominant culture is completed. In reality, there is the possibility that utilizing secular courts will force national/ religious institutions to make positive changes. JIP. Ed. 3 (2015), 363-370. Hindu religious notions have ingrained a sense of powerlessness in the psyche of many Indian women. Women are discouraged from making complaints of dowry harassment and abuse in the name of defending “family honor”. Awareness of women’s status in India is a key element for change and abolition of dowry abuse. But, families should be encouraged to defend the rights of its women. This needs to extend outward so greater solidarity among women can be built since women are often the ones inflicting and perpetuating the abuse of young brides. All such behavior would help to alter the core attitudes that victimized women develop of themselves. In these ways, women can empower their existence within the context not only of policymaking, but also within a world that will promote equality, respect, and dignity for all living beings. JIP. Ed. 3 (2015), 371-380. This research aimed to determine the response or complaints of domestic tourists about the tourism in Sabang and Banda Aceh. The types of data used were primary and secondary data. The primary data was obtained using Non Probability Sampling method. In-depth interview was conducted with 50 domestic tourists in Sabang and 60 domestic tourists in Banda Aceh. The secondary data was obtained from Statistics Indonesia, Sabang and Banda Aceh Tourism Offices, as well as from relevant literature review. The research revealed that the domestic tourists in Sabang and Banda Aceh had similar responses regarding waste management, environmental hygiene, and adequate lavatories with clean water supply. Another complaint from the domestic tourists in Sabang was regarding transportation such as the ferryboat management and the local ground transportation, availability of restaurants and eateries with wide-ranging types of food, as well as the availability of mushollas or praying spaces. One way to encourage domestic tourists to visit Sabang and Banda Aceh is to address their complaints about waste management and environmental hygiene, availability of restaurants or eateries with a diverse menu, and availability of praying spaces. JIP. Ed. 3 (2015), 381-390. Biodiversity is the diversity of organisms that indicate the overall variation of genes, species, and ecosystems in a region. This research aims to investigate the aquatic biodiversity in Teupin Layeu Iboih beach Sabang for resources marine ecotourism. The research was carried out from March to June 2014. A descriptive approach was applied to present the research findings to show biodiversity of the Teupin Layeu Iboih. The results of the research found 71 species of coral fish, 21 species of coral, and 15 species of aquatic invertebrates. Biodiversity were found in Teupin Layeu Iboih beach was varied and could be used for attraction in the development of marine ecotourism. Therefore, tourism activity that could be sustainable without being damaged by the nature. JIP. Ed. 3 (2015), 391-404. 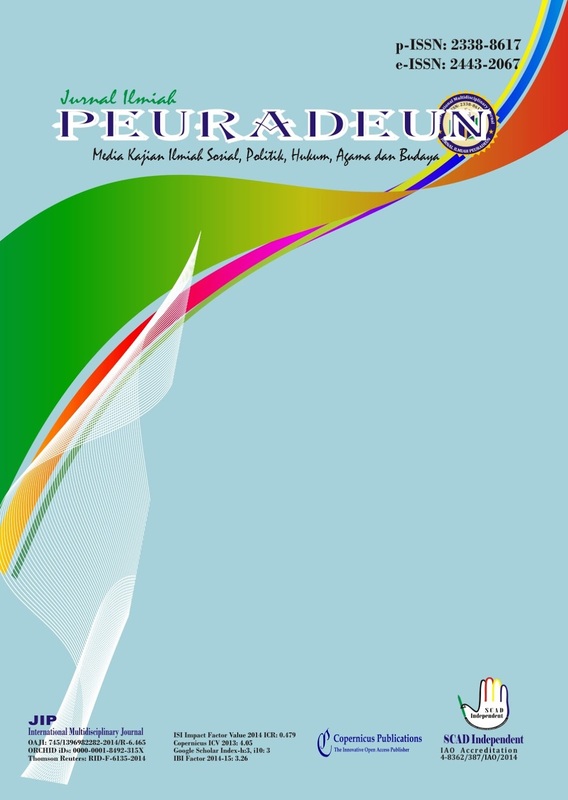 The aim of this paper is to map the ways in which diversity relays and mobilizes a set of neoliberal positions and relationships in the field of education and seeks to govern education institutions and education users through politically circulating norms and values. I explore the pedagogical and political shift marked by the meaning and practice of diversity offered through New Labor education policy texts, specifically, the policy and practice of personalized learning (or personalization). These norms and values, I want to argue, echo and redeem the kinds of frameworks, applications and rationalities typically aligned with modes of neoliberal or advanced liberal governance, e.g. marketization, monetarization, atomization and deregulation. I conclude the paper by considering how diversity in education renders problematic conventional antinomies of the citizen and consumer, public and private, state and civil society, etc., and forces us to confront the rhizomatic character of contemporary governance and education in the era of neoliberalism. JIP. Ed. 3 (2015), 405-416. Since in 1976, sociology officially became one of the subjects taught in senior high school programs throughout Indonesia. There are still several major problems in teaching it in particular the lack of locally relevant teaching materials and the lack of teachers with a background in sociology. The aim of this study is to find better ways for the teaching of sociology and for students to learn the principles of sociology and to find the best of teaching materials available for constructing a better paradigm for character education and also to identify the various barriers and difficulties inhibiting the provision of highly successful character education through the study of sociology. Most of the results showed that in teaching sociology in Banda Aceh the implementation of teaching character based on local wisdom has major problems and obstacles. In particular the standardized national education program ending with standardized national final examinations emphasizes rote learning unrelated to the real life of the students. This raises contradictions because the centrally prepared material makes it difficult to introduce local indigenous values, culture and traditions. JIP. Ed. 3 (2015), 417-430. JIP. Ed. 3 (2015), 431-440. The aims of this study is to determine the educative rules in classroom, educational interaction in the classroom, students' mental engagement in learning, learning behavior and the strategies to build a classroom climate in creating effective learning in Madrasah Aliyah in Aceh. The method used is qualitative method. The subjects were all over the Madrasah Aliyah in Aceh. While the sampling technique in this research was done by using purposive sampling to 9 Madrasah Aliyah in Aceh. The results showed that the management of physical condition classes have not been effective, while non-physical classroom management (socio-emotional) showed effective. In addition, the ability of teachers to educational interaction in the classroom showed not optimal. Strategy to build a classroom climate in creating effective learning in Aceh At the Madrasah Aliyah influence on the quality of learning and satisfaction (climate) study. JIP. Ed. 3 (2015), 441-450. The objective of this study is to produce a model of teaching English writing skill in an effective way for students of English Study Program in college. This research method is using the Research and Development (R & D). The teaching model arranged can be implemented conceptually and operationally. The model is developed based on the theories of learning writing. This research was conducted in Banda Aceh and the samples for determining the location specified in stratified sampling. This study was conducted at Serambi Mekkah University and Muhammadiyah University. Based on the research findings that the conditions of learning Model at UNMUHA and USM were not in accordance with the theory and practice. They need both theory and practice to review paragraphs and the composition should be coherent. The design of learning model, Implementation, and Evaluation could be developed in teaching writing skill for both Universities students. JIP. Ed. 3 (2015), 451-466. The education systems adopted by the most of the Islamic countries have been based on ‘so-called secular Western education’. Consequently a cultural dichotomy is observed in their societies between a traditional Islamic education on the one hand restricted to religious groups, and a secular Western education in main stream schools, colleges and universities. This paper presents a discussion regarding the role that Muslim scholars played in the development of scientific thinking in the Middle Ages. It argues that the Muslims were not just the preservers of the ancient and Greek knowledge, but that they contributed original works to the different fields of science. They were inspired by the Islamic view of nature that is, mankind had a duty to ‘study nature in order to discover God and to use nature for the benefit of mankind’. This knowledge was transferred to Western Europe and subsequently played an important role in revitalizing a climate of learning and exploration in Europe, leading to the Renaissance in the sixteenth and seventeenth centuries.